DKV Euro Service is the market leader providing cash-free services en route for the coach industry on European roads. With the DKV CARD, our solution for fuel and many supplementary services, we offer you a wide spectrum of products for your daily business and optimisation and control of your coach fleet. We provide cost-effective fuelling, and help you in maintaining mobility and to work more efficiently, using the DKV fuel card. With more than 65,000 acceptance points in 42 European countries, DKV Euro Service offers you the largest supply network in the industry. DKV Euro Service is part of DKV MOBILITY SERVICES Group. With almost 900 employees throughout Europe, the group achieved 6.3.-bn-Euro revenues in 2016. 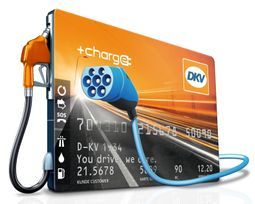 DKV Euro Service has proudly worked in partnership with the CPT for over 4 years, offering members the opportunity to take advantage of exclusive discounts on fuel, road tolls, and even refund services such as foreign VAT and Excise Duty.